It is the BER months. As I am writing this article, I realized, it's only 89 days till Christmas! OMG! That means, I need to plan my Christmas shopping ASAP! In the past years, I have encountered several misadventures as far as Christmas shopping is concerned. There was this one time, that I completely forgotten one special person, that I did a last Christmas shopping the day before Christmas. Yes -- I found the gift that I wanted, but it took me an hour just to pay for it, got stuck in traffic on my way home, and I felt really really tired. This year, I don't want the same experience. 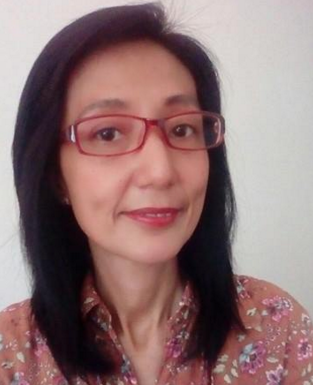 I just want to enjoy the Holidays, spend more time with my family, and make my family and friends happy by giving them the best gifts -- to show them how I value their existence in my life. GADGETS: Go to any mall, and you will surely find a crowd hovering at the cyberzone. Who wouldn't want to receive a brand new phone, laptop, tablet or a digital camera this Christmas? This is the top choice of all the young professionals and students. 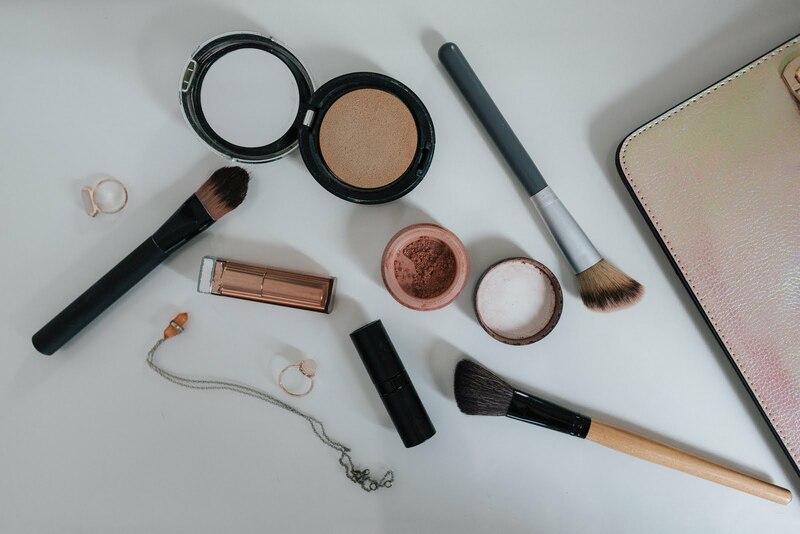 FASHION ACCESSORIES AND BEAUTY KITS: When everyone is keeping an IG feed of what's in and trendy for that cool OOTD - you can never go wrong with gifting your "kikay" relatives with fashion accessories and beauty essentials. Everyone wants to look good during the annual Christmas reunion, right? MONEY: This would always be a popular choice. I grew up in a very traditional family, that gives "aguinaldo" during Christmas. That means "crisp" paper bills in an envelope. Sometimes, my balikbayan uncles will give me dollars as aguinaldo. 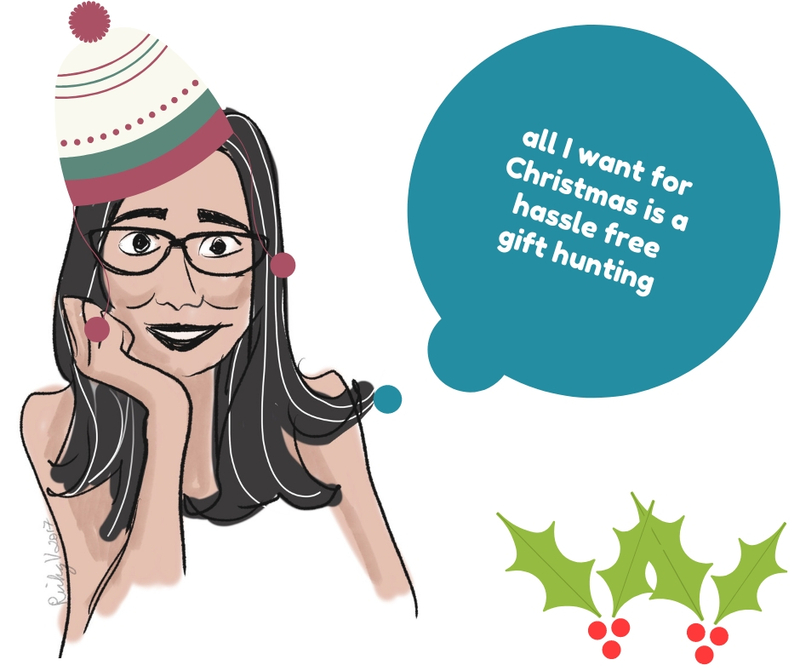 AND WHAT IS THE BEST GIFT IDEA? After doing some research and I have come to a conclusion. Gadgets, fashion accessories, beauty essentials are things available at the malls. But do I really know in particular what gadget model will my relatives want? Or which particular brand, or color, or type of clothes, accessories or make up will my kikay relatives will prefer? The answer is a big NO! So I think the PRACTICAL, HASSLE FREE and WISE choice -- is to give Gift Certificates this Christmas. G - ifts that are considered perfect for the people you love, are the ones that they can personally choose. 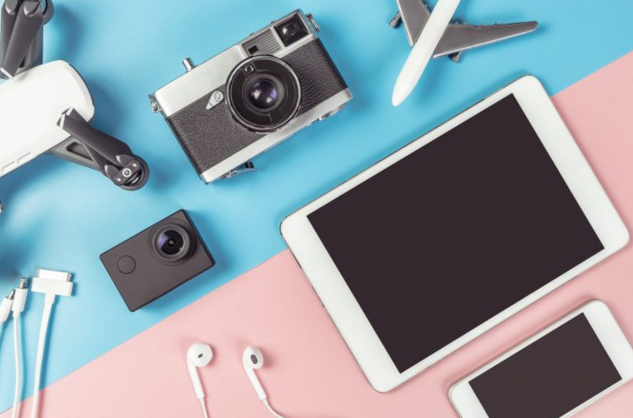 These are the things that they aspire for; it can be a gadget, bag, shoes, an acitivity to pamper themselves or dining in their favorite restaurants. C - onvenience. For the gift giver, sending gift certificate is very convenient. It saves time and money -- no more gift wrapping, no more additional budget for transportation when you go to the malls. Above all, energy is conserved, because you don't get to be stuck in traffic and the mall's Christmas rush. R - ecipients will enjoy a variety of choices. Recipients of Sodexo Gift Certificate have the freedom to choose from over 10,000 merchant outlets nationwide with the country's most preferred brands. From shopping, dining, relaxing, entertainment to leisure and so much more, recipients will never run out of things to do. E - njoyable to use than cash. The problem with receiving money as gifts, if you are not wise enough to put it in a bank, there is a higher chances that you might spend it on things that you don't really need. 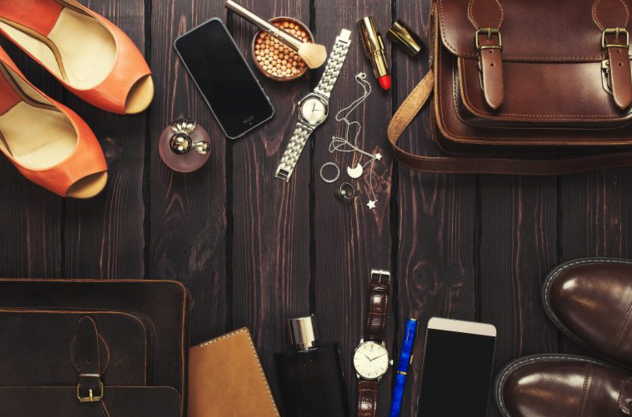 You might get subjected to peer pressure, to spend the cash on posh coffee or computer games - instead of buying what you really need and want. With Gift Certificates, you have the assurance that your loved ones will purchase what their hearts desire. G - ift certificates can now be delivered anywhere in the Philippines. So if you have relatives in the provinces, the GC's can be delivered on their doorsteps! For a minimum purchase of Sodexo vouchers amounting to 2000 or more, there is free shipping. A - wesome shopping choices. Sodexo Premium Pass, SM Gift Pass, Rustan's Supermarket Gift Certificate, Shopwise and Wellcome Gift Certificate, Walter Mart Gift Pass. L - argest is the keyword! 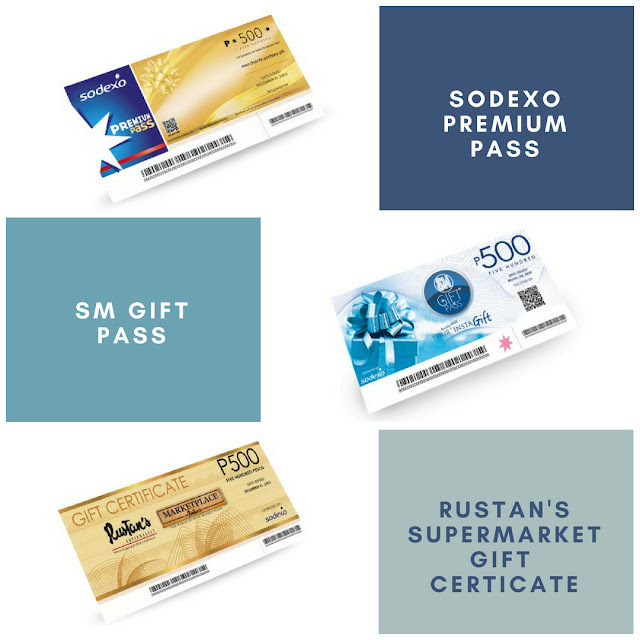 The online gift certificate store is made possible by SM, the LARGEST retailer in the Philippines, and Sodexo, one of the LARGEST gift voucher companies worldwide. So guys, you are buying gifts from the best in the business! O - rder it ONLINE! 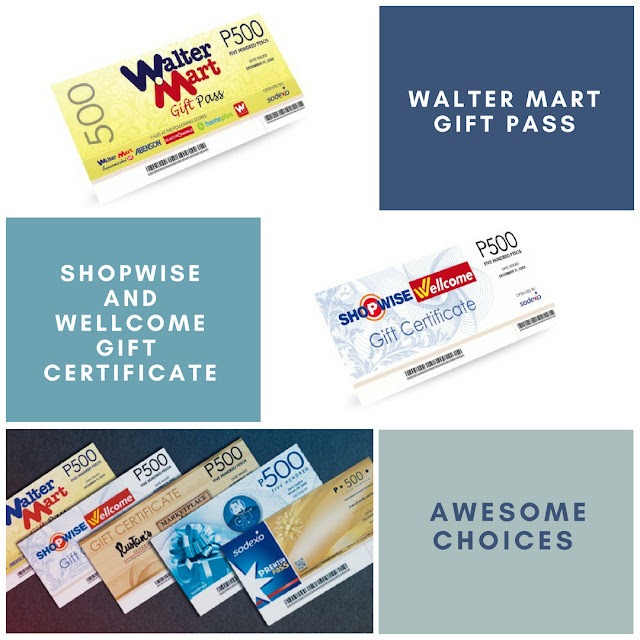 You may order the GC's at www.gcregalo.com, the first and only online gift certificate store in the Philippines. What makes it more special, you may also order special envelopes together with your Sodexo vouchers and write your personal Christmas wish and message on it. 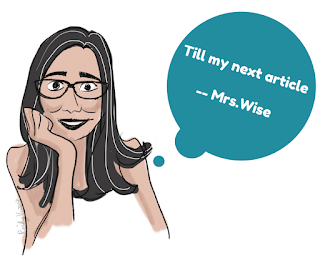 So what is 2018's BEST CHRISTMAS GIFT IDEA from Mrs.Wise? GC REGALO! I have always believed that "its really the thought that counts" when it comes to gift-giving. So there is no better gift to give than one that is practical and convenient. That is Sodexo Gift Certificates from GC REGALO for you.